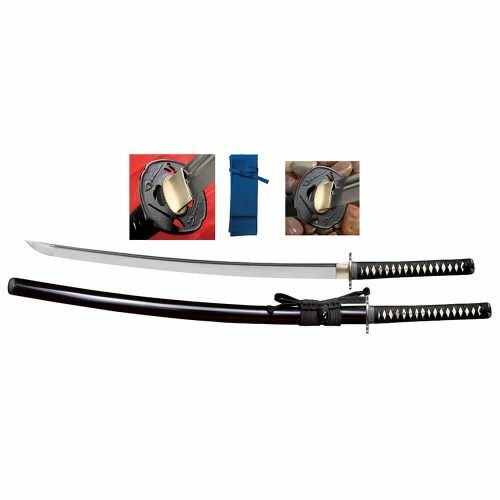 This Katana Includes Maintenance kit, Certificate and Sword Bag! 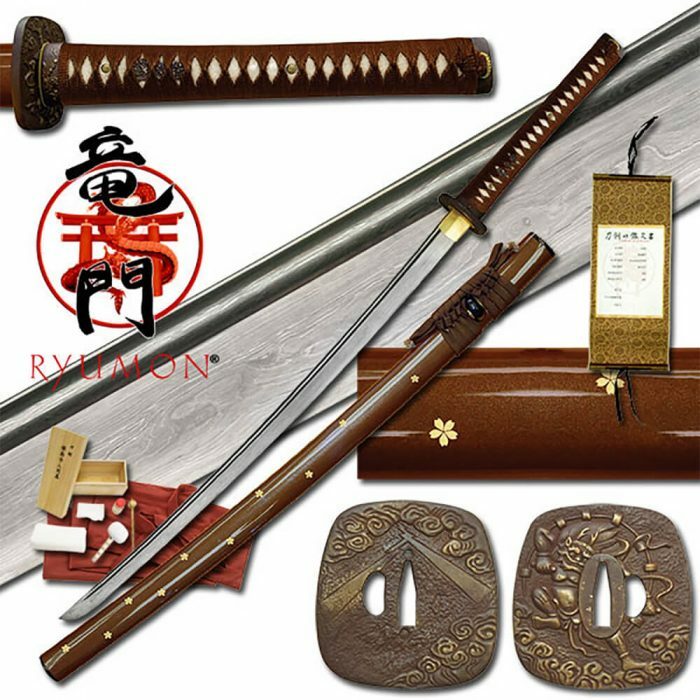 This amazing Ryumon Folded Katana comes from their Longquan forge. for more than 2600 years, the “City of Treasure”, Longquan, has been known for making some of the best swords in the world. 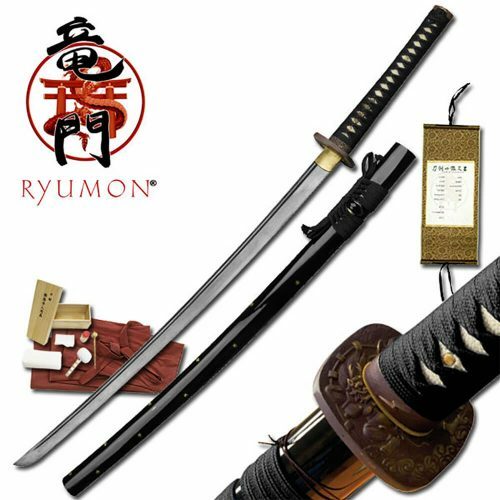 The Ryumon RaJiin Katana has a hand forged and folded AISII060 carbon steel blade meticulously crafted. Heat treated with traditional processes, the razor sharp edge has a hardness of roughly -57Rc and a softer spine (-+5Rc) to absorb shocks. 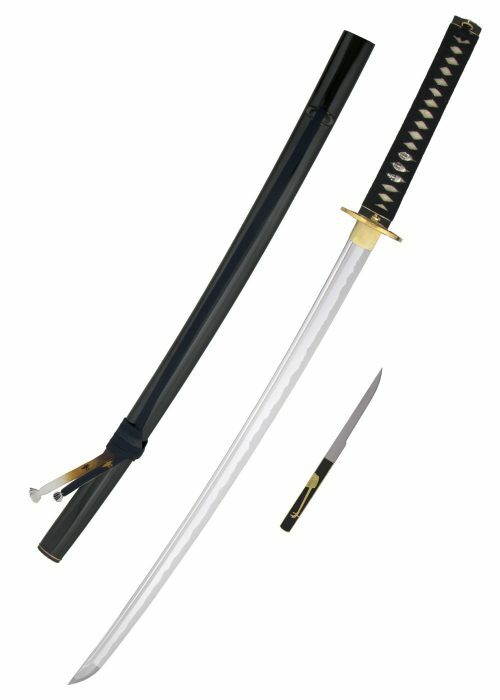 A one-piece brass construction habaki (blade collar) enables the blade to fit securely into the say (scabbard). The tsuba (guard) of this sword features a reproduction of “Rajin” (the god of thunder), based on the work of Tawaraya Sotatsu, a master painter of the edo period. The saya (scabbard) is lacquered to a super high gloss finish with inlaid brass sakura (cherry blossom flower). Authentic ray skin (same) is used to wrap, the tsuka (handle). 50th the sageo andita are woven from imported Japanese silk for a sleek and elegant look. The koiguchi (scabbard mouth) andkojiri (scabbard tip) are made with genuine water buffalo horn. Hand forged high carbon folded blade! 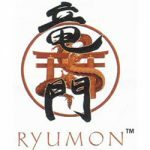 Battle ready and handmade by Ryumon sword masters. AISI 1060 High Carbon Steel tempered with clay method. 45 RC hardness of Shinogi-ji, 58 Rc hardness of Ha. Polished brass tsuba, Fuchi, and Kashira. Comes with Cleaning kit, High quality sword bag, Reference guide which details sword care and maintenance, and Certificate of Authenticity which is affixed on a beautiful silk scroll.